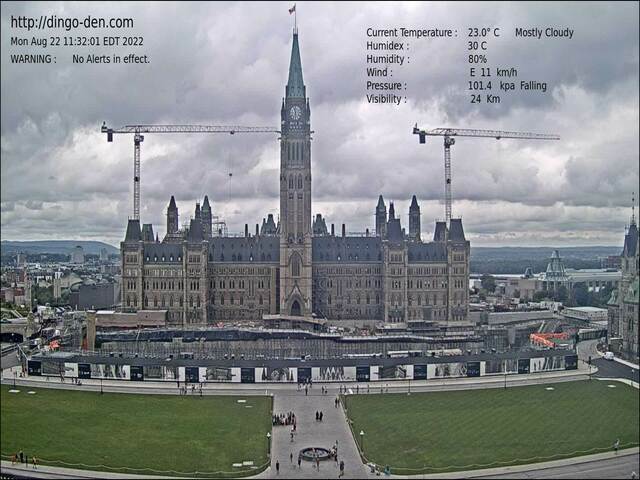 This image is being transmitted via a video camera installed across the street from Parliament Hill. Click on the image for full size image. Use the tabs at the top of the page to move around the site. Here is the image captured at midday. If you would like to use this live image on your website,please email me first via the tl address below.